Amrut 100 is released in 2010 if I am not mistaken. It's named "100" because it's matured for another year in relatively small 100 litre virgin oak barrels after being aged in standard ex-bourbon casks, bottled at 100 percent proof (British proof, 57.1% abv), sold in 100 cl. (1 litre) bottles and only 100 individually numbered bottles have been made available for each of five countries: Belgium, The Netherlands, Sweden, Denmark and UK. Color: As orange as it gets. Like a jar of quince jam. Nose: Vibrant and nose tingling orange peel and eucalyptus aromas jump out of the glass. Dark chocolate, wet pipe tobacco, uncured buckskin leather, toasted malt and green wood. Remnants of a bonfire party at the beach: smoking wood, wet sand and caramelized marshmallows. With water it gets incredibly sweet: marzipan and milk chocolate covered raisins. Feels much younger than it is. Palate: A sudden, hot and powerful ashy and peppery attack. It covers your mouth and numbs your tongue. Quite sour with ginger, spearmint, dry soot and pine nuts. Definitely needs water. Sourness turns sweet and salty after adding a few drops of water. Salted caramels, chocolate coffee beans, cooked prunes, almond and sea salt chocolate bars and chili flavored dried mango slices. 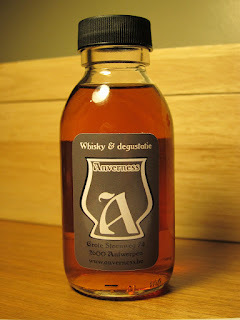 Finish: Goes forever with peppery eucalyptus, cigar smoke and heavy charred oak. 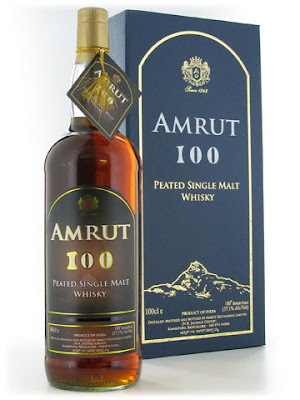 Overall: I think it is my favorite Amrut so far... Loved it..! It's a big whisky. Actually a quite peaty one but peat blends with charred new barrel notes and creates a different kind of mellow, subtle ashy - smoky bed and stays at the background. Oaky, sweet and spicy qualities of virgin oak barrels are more dominant like new style young American rye whiskies. It's pretty great to watch the whisky turning sour, sweet and salty throughout the tasting. Quite a ride... I hope they will come out with other experiments like this in near future.